25% deposit. Balance 1 week prior to arrival. 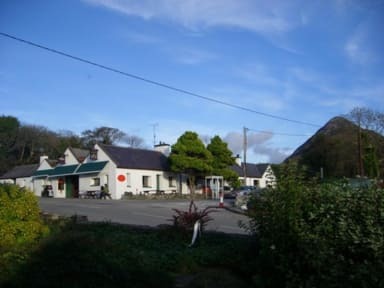 Located in the centre of Letterfrack, at the entrance to Connemara National Park, Cloverfox Connemara is a Traditional Village Pub, Seafood Bar and Restaurant and Holiday Hostel. Nestling at the foot of The Diamond, we are surrounded by the 12 Bens and Connemara National Park and are the closest hostel to Connemara National Park and Kylemore Abbey. Breakfast is included in our prices as is bed linen and towels. 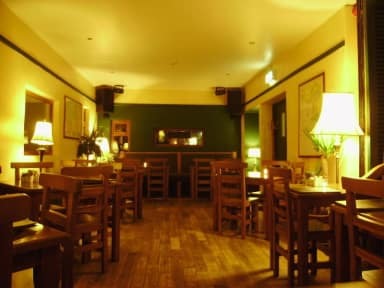 Today Cloverfox Connemara, Letterfrack is a renowned music hostelry, bar, restaurant and budget accommodation hostel. Owner managed, Cloverfox Connemara offers very comfortable accommodation; good food with an emphasis on locally caught seafood and Connemara lamb; cozy bar lounges with open fires and the best of traditional Irish music and contemporary music seisuns.